I love convenience stores. Even though they charge $4.00 for a dozen eggs, there’s something completely decadent about going into one. They always seem to have magazines that I’ve never seen before (and no, not the ones behind the counter), really cool counter candy such as Ice Cubes, and also plain regular coffee that you can often get for under a buck. Sometimes that coffee even tastes good. Oh, and then there’s the hot dogs and pizza that some people buy on their way into work in the morning. I find that fascinating. I go to convenience stores all the time. I buy lottery tickets, which is something I do because of my Dad. After he retired, Dad got quite a few wins of $300 or $400 from the lotto. Those aren’t life-changing amounts but it was still pretty exciting. I started buying in earnest when I was 40. He and I would trade lottery stories on the phone, and we would each congratulate each other on the wins both large and small. My lottery budget is about $10 a week. Sometimes it’s a little bit more if I buy a daily ticket in addition to one of the bi-weekly games. 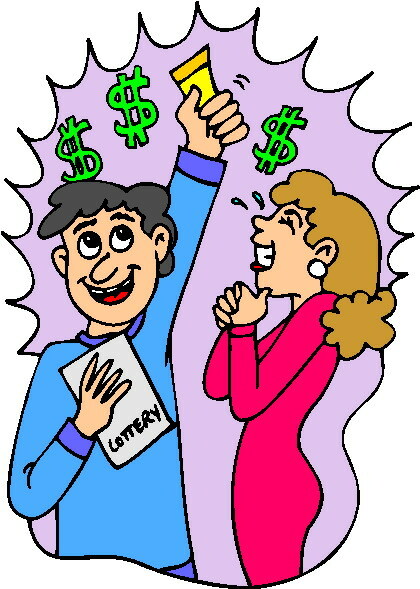 Here in Florida we have the state lotto, and the two multi-states ones: the Mega Million and Powerball. I don’t play the Powerball, though. It costs two dollars a ticket, and that is too much for me. A man has to have his scruples and live by them. The most I ever won from any lottery was approximately $400 when I lived in California. Most of the time all I win is a free ticket or occasionally $3 or $5. In the ten months that we lived in Oregon, I think I won a free ticket four times and that was it. However, since we’ve moved here to Florida, I’ve won free tickets or $2 winners every week so far. Momentum must truly be on my side. I had thought for sure that marrying a psychic would be a fortuitous omen for my lottery endeavors. But just my luck, it would appear that games of chance are not a part of the energy that angels and archangels provide her. Gorgeous has been spot-on for her clients on all kinds of advice with matters of the heart, when he/she might finally call back, will a job promotion be in the offing, or the location of a missing pet. That’s great for them, but can she just once give me six accurate numbers for the lotto? Nope. I’m on my own. I notice that seniors buy lotto in the same manner I do: In $1 or $2 increments. I’m also noticing that younger people, interestingly enough women for whatever that means, are sometimes spending $25 or more each time. Yesterday we stood behind a young lady holding a baby who coughed up $30. It scares me to ponder just what that mother and child might not be able to buy for their home in order to buy the lottery tickets. And that’s the darker side of going into such stores for lottery — you do see things like that. I don’t know if I’ll ever hit the big jackpot. We certainly have a large wish list of things that we’d enjoy getting for ourselves and also Gorgeous’ grown daughter. I keep playing because I enjoy the process of waking up each morning with my cup of coffee and checking to see if my life has changed yet. I’ll keep you posted. Oh my God, is that a box of Mallow Mars in the snack aisle?